I am constantly trying new recipes. I mean, really, if a week has passed and I've not tried a single new recipe you either need to call me an ambulance or grab me the closest pillow and bed because I must be seriously sleep deprived. These meatballs came out from a random thought I had whilst at the grocery store. I saw turkey mince and chicken mince and was thinking about creating another healthy meatball recipe - but I thought I'd switch things up and try something new. Whilst traditional meatballs use breadcrumbs to bind them - I was going to turn traditional on its head and use quinoa instead. And oh did they work. 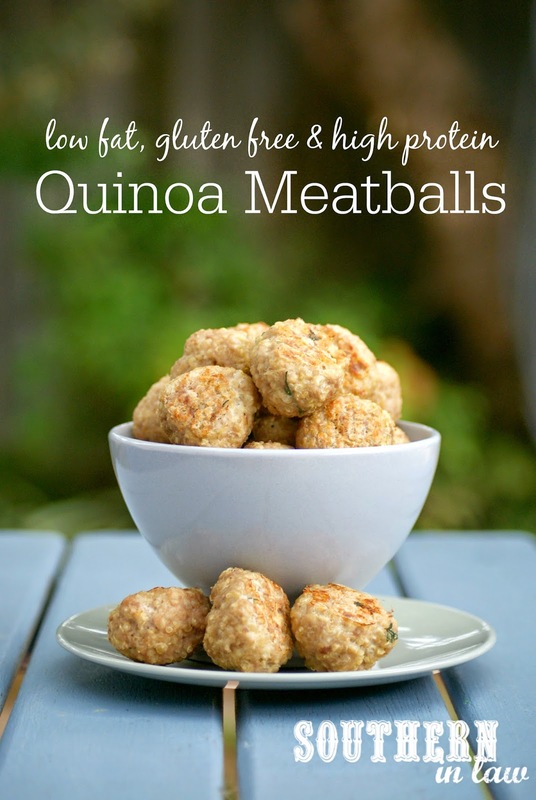 The quinoa adds the perfect texture - they're no longer boring old meatballs, they're little balls bites of goodness. Best of all? They're freezer friendly! We make up a big batch and store them in the freezer in a big zip lock bag - then just get as many out as we need for a meal. You can use them however you please; a healthier version of a meatball sub, in pasta dishes (we've used them in both creamy and tomato based sauces), on their own or with your favourite dipping sauce. The possibilities are endless and the recipe is soooooooooo easy! Mix together all of your ingredients and shape into meatballs. Place your meatballs onto your baking sheets and bake for 20-25 minutes or until cooked through and lightly browned. Leave to cool slightly before serving or leave to cool completely before storing in the fridge (up to one week) or freezer (these will keep for months if sealed in a ziplock bag). But tell me, are you a fan of trying new recipes or do you prefer to stick to your favourites? 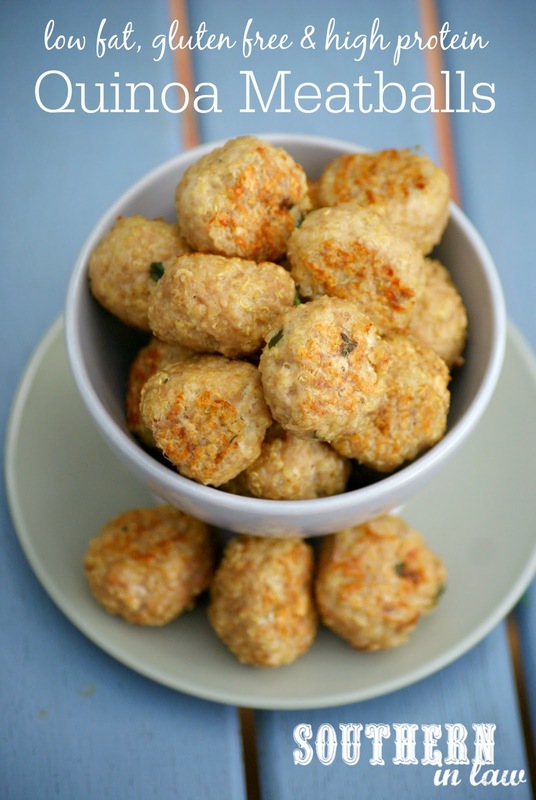 I love this healthy spin on meatballs! I'm starting to use a whole lot more quinoa in my cooking and these sound just perfect.